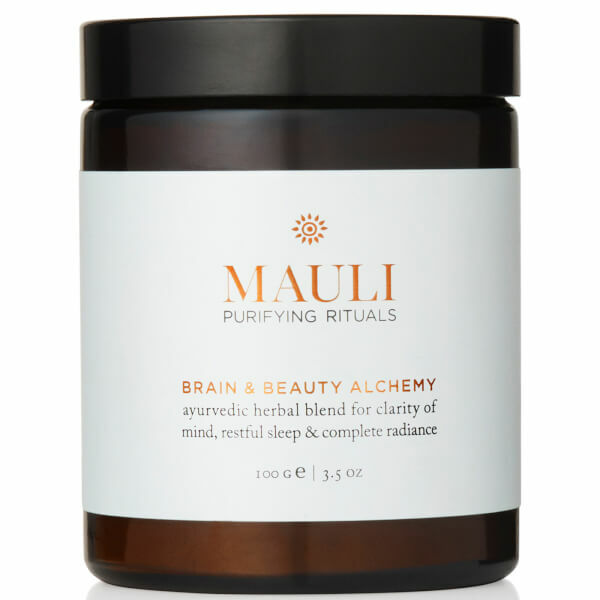 Developed for clarity of mind, restful sleep and complete radiance, the Brain and Beauty Alchemy Blend from British beauty and wellbeing brand, Mauli, is famed for its all-natural and organic beauty treatments that draw upon ancient Ayurvedic principles. 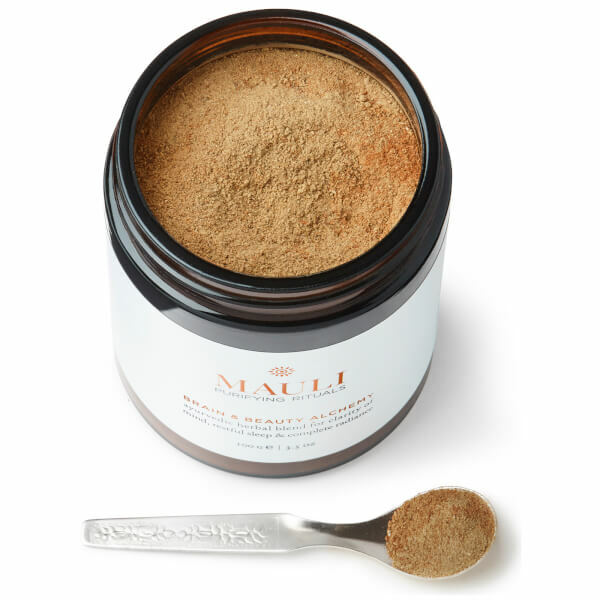 Brimming with adaptogens, the powdered blend is formulated to balance ‘Vata’ (one of three biological energies or ‘dosha’ found throughout the human body and mind that govern all physical and mental processes). Vata dosha is energy that dictates flow and motion of the mind and body, controlling blood flow, eliminating toxins and aiding the respiratory system. Combining nutrient-rich herbal ingredients, the cleansing blend helps sharpen concentration, maintain a healthy digestive system and restore radiance through deep and calming sleep. Amla – an Indian gooseberry that contains 20 times the concentrated Vitamin C of an orange. Bibhitaki – a natural tonic fruit that effectively decongests and clears toxins, thus improving the immune system. Haritaki – a dried fruit that strengthens immunity, muscular function and intestinal wall. Brahmi – a rejuvenating herb that contains nitric oxide to improve mental clarity, focus and energy levels, whilst naturally increasing T3 and T4 in the blood, which in turn helps to encourage higher metabolism rates. Cinammon – a powerful medicinal spice with potent antioxidant benefits that is scientifically proven to improve key risk factors for heart disease (cholesterol, triglycerides and blood pressure) and lower blood sugar levels. Fennel – an anti-inflammatory, antispasmodic fibrous bulb that is rich in potassium, folate and vitamins C and B6 with heart health benefits. Tulsi – a magnesium-packed herb (known as Holy Basil) known for its ability to support a healthy cardiovascular system and help the body deal with stress. Triphala: Blend Of 3 Fruits Of Amalaki (Emblica Officinalis), Bibhitaki (Terminalia Belerica) & Haritaki (Terminalia Chebula), Brahmi (Centella Asiatica), Tulsi (Ocimum Sanctum), Fennel (Foeniculum Vulagarae), Cinnamon (Cinnamomum Verum).